There are so many low carb foods, but not all of them are healthy. This article presents a list of 21 of the best low carb foods, with an emphasis on the most nutrient-dense options. In other words, the foods on this list are all high in nutrients and some of the healthiest foods out there. Even if you don’t follow a low-carb way of eating, these foods can all play an important role in a healthy diet. For each food, you can find the net carbohydrate content and the top 5 nutrients the food offers per 100 grams. First of all, we will take a look at animal foods. While many of us automatically associate fruit and vegetables with vitamins and minerals, the animal kingdom provides some of the most nutrient-rich options. This fact is particularly the case for organ meats such as liver, which contain substantial amounts of almost every vitamin and mineral. While animal foods generally have no carbs, organ meats do contain a minimal amount. Here are five of the healthiest low carb animal foods. Beef liver is one of the healthiest foods available to us; it is a powerhouse of nutrition and contains a substantial amount of vitamins. 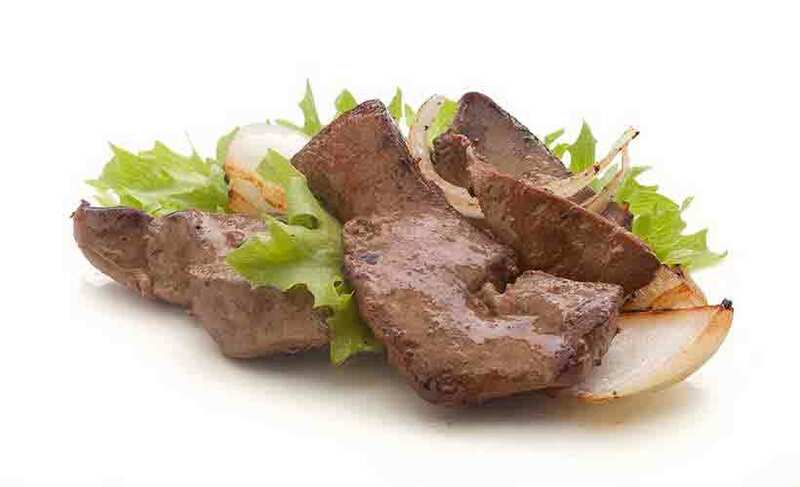 Per 100 grams, beef liver provides 5.1 grams of net carbohydrate (1). While liver may not be one of the tastiest foods, it is one of the most nutritious. The traditional method of a shallow pan-fry alongside onions is a good way to eat liver. Some people refer to eggs as ‘nature’s multivitamin,’ and they have a point; eggs provide almost every essential vitamin and mineral. Per 100g, eggs contain approximately 0.8g carbohydrate, which works out at approximately 0.4g carbs per large egg (2). In other words, eggs contain virtually no carbohydrate. Of course, there are other foods too, but eggs are incredibly versatile; boil them, fry them, or make a cheese omelet. All these options are good for you and taste delicious. 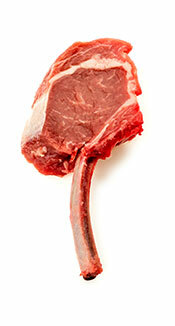 Meat does not contain carbohydrate, and lamb is no exception (3). Lamb is rich in protein, fat and it is a surprising source of omega-3 fatty acids too. Since lamb spend their life grazing on pasture, the meat contains quite a lot of omega-3. Furthermore, this omega-3 comes in the most bio-available form of DHA and EPA; the same as found in oily fish (4). Lamb is very tender and it works well on the grill or as part of a stew. Never heard of liverwurst before? In that case, it is a type of German sausage that is incredibly nutrient-dense. Liverwurst contains an assortment of ingredients including liver, meat, animal fat and various spices. Typically, these spices include nutmeg, black pepper and ground spice among others. Since organ meats contain a little carbohydrate, liverwurst contains around 2.2 grams of net carbs per 100g (5). Liverwurst is also a delicious way to “hide” the taste of liver for those who don’t like it. Cheese is delicious, and it supplies an excellent amount of protein and calcium. Per 100 grams, it only provides around 2.4g net carbs (6). However, not all cheese is equal, and aged cheese has some unique benefits. Particularly, hard aged cheese with a longer fermentation time (like Parmesan) contains a decent amount of probiotic bacteria and vitamin K2. Nutritionally, cheese is an excellent source of calcium, which is vital for skeletal health (7). Perhaps the best thing about cheese is that it makes everything else taste better, but it tastes delicious on its own too. 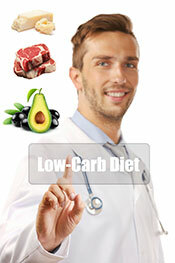 Almost every animal food is low carb, but it is a different matter with fruit and vegetables. For example, some can be very high in carbohydrates, such as bananas, mangoes and potatoes. The following five plant foods are some of the most nutritious fruit and vegetable options, and they are also very low in carbs. This traditional Mexican fruit has exploded in popularity over the last few years, and it now enjoys worldwide fame. Per 100g, avocado supplies 1.8 grams of net carbohydrate, which works out at 3.6 grams per avocado (8). Nutritionally, it is not difficult to see why avocado is so popular; it contains lots of healthy fats, fiber, and many vitamins and minerals. If you eat the whole avocado, it will supply roughly double these amounts. Personally, I’m not the biggest fan of kale, but it is hard to argue with its nutrient profile. While it may not be the best-tasting food around, it is one of the most nutritious. 100 grams of kale provides roughly 8 grams of net carbohydrate (9). As with all plant sources of vitamins A (carotenoids) and K, they do require conversion to vitamin K2 (menaquinone) and vitamin A (retinol) inside the body. As a result, it is better to get these nutrients from animal foods in addition to plant foods, as the conversion rate is unreliable (10). Mushrooms are an interesting food that contains an assortment of exciting compounds. While they are not an actual fruit or vegetable, it is the easiest way to classify them as they belong in a category all of their own; fungus. It will differ somewhat from mushroom to mushroom, but for the standard white button mushroom, the net carb count is 1.6 grams (11). Additionally, mushrooms contain all kinds of interesting biologically active compounds such as phenolic compounds, mycosteroids and biometals. Research is being undertaken on the potential anti-inflammatory effects of these compounds (12). Generally speaking, leafy green vegetables are low carb and full of beneficial nutrients. While spinach won’t make people big and strong like in Popeye, it is a significant source of vitamins and minerals. It also has a minimal net carb content of 1.4 grams per 100 g (13). Alongside kale, spinach has a claim to being the most nutrient-dense vegetable. To make it a little tastier, try sauteing it in butter and salting liberally. The strawberry has little carbohydrate content, and it is also one of the tastiest low carb fruits. Strawberries make a delicious low carb dessert, especially when eaten the traditional way – with some heavy cream on top. Per 100 g, strawberries contain a minimal 5.7 grams of net carbs (14). Strawberries are also rich in polyphenols, which may benefit our health in numerous ways (15). In the modern age, most people in the Western world are not consuming enough fish and seafood. Since seafood is a vital source of omega-3 and incredibly nutritious, that is a shame. Here are some nutrient-dense options that everyone should consider including in their diet. With one of the highest concentrations of omega-3 fatty acids (and lowest mercury levels) Atlantic mackerel is an excellent choice. Since fish do not contain carbohydrate, it has a net carb count of 0 g (16). Just one thing to be aware of; not all mackerel is equal. Notably, Atlantic mackerel has very low levels of mercury contamination, but other varieties such as Spanish mackerel are high in mercury (17). Fish roe is another low carb food that many people probably haven’t tried. However, it is impressive nutritionally, and it tastes pretty good too. Unlike regular fish, fish roe isn’t quite zero carb, and it contains a minimal amount of carbohydrate. Fish roe enjoys the most popularity in the Eastern part of the world, specifically Japan, Korea, and Eastern Russia. However, it is still available to buy – just be aware it is a little expensive. Sardines are a small, nutritious fish that belongs to the herring family. One of the reasons why sardines are so nutritious is that we eat the whole fish; flesh, organs and even bones. These small fish are high in protein and contain lots of healthy fat in the form of omega-3 fatty acids. Sardines are a great source of calcium due to the small edible bones in the fish. Similar to all fatty fish, sardines supply an excellent source of vitamin D too. Due to the delicious taste, salmon comes high on many people’s favorite food lists. However, the most significant benefit is the abundant supply of omega-3 that salmon provides, with 100 grams containing more than 2.5 grams of the essential fat. Omega-3 has anti-inflammatory effects in the body and may help to protect against major chronic diseases such as cardiovascular disease and cancer (21, 22). Finally, wild Alaskan salmon has one of the highest concentrations of omega-3 (and lowest of mercury) out of all fish. Mussels are one of the healthiest foods in the world. 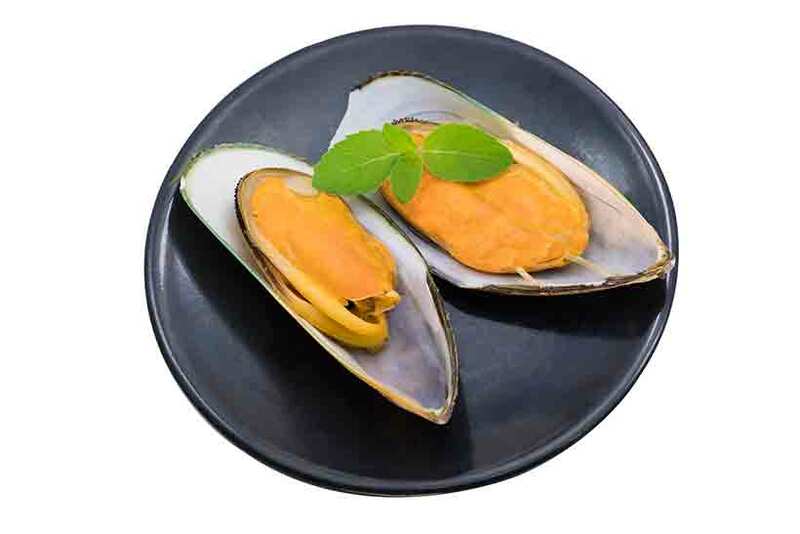 Shellfish do contain small amounts of carbohydrate, and mussels have a net carb content of around 3.7 grams per 100 g (23). Also, mussels are a good source of omega-3 fats. Overall, mussels are a tasty, nutritious and relatively affordable food, making them a great choice for a low carb diet. Here are some more low carb foods that do not fit into a specific category, which range from cooking oils to nuts. Coconut oil is not particularly nutritious, but it has one important attribute; it is one of the most heat-stable cooking fats (24). This oxidative stability is mainly due to coconut’s high saturated fat content, which is the most heat-stable type of fat. Coconut oil works exceptionally well in curries and for authentic tasting South-Asian cuisine. Almonds are one of the most nutritious nut options and they are a source of all three macronutrients; carbs, fat and protein. However, much of the carbohydrate content is fiber, and the net carb count is a low 7.5 grams per 100 g (25). Regarding their nutritional value, almonds are one of the very best sources of dietary vitamin E.
For those who don’t eat nuts and seeds, it is quite challenging to get adequate amounts of this vital vitamin. Almonds are also very convenient and make a far healthier snack than potato chips or fast food options. Extra virgin olive oil (EVOO) is another excellent oil. Unlike coconut oil, EVOO works well for cooking AND as a dressing for salads. However, there is a widespread myth that EVOO is not heat-stable; this is wrong. Numerous controlled studies show that EVOO displays excellent oxidative stability, even after hours of prolonged frying (26). Furthermore, in a recent independent lab test, EVOO was the best-performing oil as it had the lowest amount of toxic polar compounds after high-heat cooking. Coconut oil came second (27). Extra virgin olive oil also contains a substantial concentration of polyphenols. These compounds help to increase the oil’s oxidative stability, and randomized controlled trials demonstrate they may have further benefit for human health (28, 29). Some chocolate is full of sugar and probably belongs on the ‘foods to avoid’ list, but darker varieties can be surprisingly nutritious. The darker varieties of chocolate are very low in sugar too, and the carbohydrate mainly comes from soluble and insoluble fibers and a type of starch. The higher the cocoa % of the chocolate, the closer it will be to these values. In my opinion, macadamia nuts are one of the tastiest low carb foods there is. These little round nuts have a satisfying crunchy and slightly buttery taste, and they make a delicious snack. Macadamia nuts are particularly high in the monounsaturated fatty acid oleic acid, in addition to fiber, vitamins, and minerals. Notably, they are perhaps the only nut that has a low amount of omega-6 fatty acids too. Regarding their carbohydrate content, macadamia nuts only contain around 5.6 grams of net carbs per 100 grams (31). The vast majority of their carbohydrate content comes in the form of fiber. Herbs and spices are extraordinarily nutrient-rich, and they help improve the taste of our food. Since we use them in such low quantities, the amount of carbohydrate they contain is negligible. Lastly, it is worth remembering that just because a food is low in carbohydrate does not necessarily mean it is healthy. Rather than judging food by the number of calories, carbs, or fat it has, it is the nutrient density that matters the most. To sum up, these 21 options are some of the healthiest low carb foods available.